All is not well with Nigerian Super Eagles Coach Stephen Keshi and NFF board members. The popular Coach said he is moving on after losing his cool on his contract renewal talk that hasn’t come to a successful end. In a recent interview on BBC Sports, Keshi said his contract expired on June 30, 2014 and that his new contract hasn’t been finalized. As expected, Timilehin, Leo, Odunze, you guys needed to be true with yourselves…..How can you be expecting super eagles to win a match when they have not even started training and studying other team. But Nigerians we want abracadabra. Stevie Keshi is the best so far and he doesn’t deserve to be here. Super eagles cannot and I repeat cannot get the World Cup unless NFF mentality changes. And to you guys, you talk like a failure and I am not surprised cos, you wrote WAEC 5 times and at the end, you manage to enter one school. So when you begged government to employ you and you experienced disappointment, you now want to transfer your aggression to Keshi. Grow up and be reasonable for 5mins. Your Doctors who are foolishly on strike, what happened to them when Ebola came in to kiss them. Look, the salary he’s requesting for, is not too much and your so called Local government rep, gets more than that, without giving you any happiness, Keshi knew his worth and he demanded for it. You that you don’t have a certificate except that BSC or HND, can you demand for ordinary 50k from your employers? How many Languages can you speak? Local peeps! You can’t, instead, you will lie you can work under pressure. Oshisko, reply and I will tell you more…..
What are u still watting for Bye-bye. We don wan 2 c u again plz leave our country, u said that u luv ur country, but u luv ur country bcos of money, go n ask OBAMA mouthly salary is hw much, talklss of u, plz pack ur load n go we don wan 2 c u. Hear what keshi said,he love his counry u demand for 15m for ur monthly salary.brs u better go now. 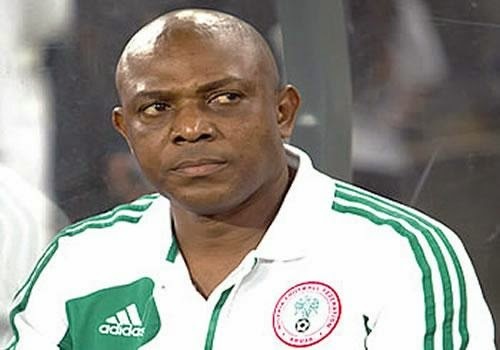 Naija pipo take it easy on Keshi he has done so much for nigeria, winning africa cup for nigeria after 2 decades, couching the team, to reach knockout stagr in the just ended world cup, and for a simple, minor and solvable issues he is being chased like a dog. pipo lest be optimistic by alwayz looking on the bright side of something. I like stephen keshi he is hard working. Viva keshi jealous will kill them. some of us are behind you. I think that u are there just bcos of Money.Pls pack and go.We Need changes.